Elections of NAEOP officers will be by electronic voting and will require a simple majority of the members voting. The period for casting ballots will occur after confirmation of eligibility of candidates and be open for at least two weeks after ballots are distributed to all eligible voters. In the event of a write-in-candidate receiving the most votes, official appointment will occur only after the nominating committee has confirmed the write-in-candidate is eligible. The chair of the nominating committee shall inform the President of the election results and notify each candidate of the outcome prior to announcing the outcome to the general membership of the Association. Please state the institution affiliated with your TRIO program(s). Sharilyn Brown is a 24-year TRIO Veteran. 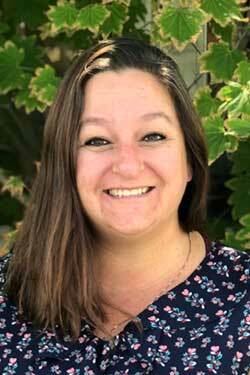 She has been Director of Talent Search and Upward Bound at Southwestern Oregon Community College since 2006. She is currently co-chair of the Peer-Review committee for NAEOP, and Government Relations for the Oregon Trio Association Board. She served on the OTA conference committee for 2018 and is on the NAEOP conference committee government relations for 2018. Sharilyn holds a Master’s in counseling from Oregon State University and is a nationally board certified counselor with a part time private practice. She has been married for 20 years and has 3 adult children and 7 grandchildren. 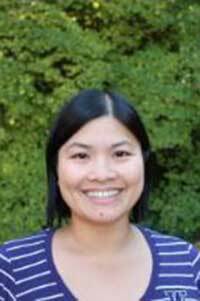 Ann Vu Loveridge has been a part of the TRIO community the past 12 years as a professional staff and several additional years as a TRIO SSS participant at the University of Washington. Her current role in TRIO is at the University of Washington as the Assistant Director of Student Support Services. She’s been engaged with NAEOP in various capacities over the years ranging from a presenter at conferences to an Emerging Leader Institute (ELI) participant, participated in Policy Seminar and WA Civic Leadership Conferences, and currently the Treasurer for the Friends of NAEOP committee. In addition to NAEOP experiences, she has held board positions in several non-profit organizations. She served as a Secretary and Treasurer for Helping Link, a non-profit supporting recent immigrant’s transition to the Seattle area with an emphasis on language education. She also served as a Treasurer for Bahia Street, a non-profit organization supporting young Brazilian girls in Bahia in education with supplemental instruction and basic needs such as meals and a place to shower. Ann strongly believes in the mission of TRIO. Not only is she committed to serving TRIO programs and organizations, she also believes in providing direct financial support. Over the years, she has funded an Endowed Scholarship with the intentions to ease the financial burden for UW TRIO SSS students, awarding an annual scholarship ranging from $1000 to $1500 toward their financial needs. TRIO worked for Ann when she was a student. Now she works for TRIO! She is excited about the opportunity to serve on the NAEOP board. Jenna McCoy spent most of her formative years in the California Bay Area. While she would have qualified for a TRIO program, she was not fortunate enough to be exposed to them. Somehow she muddled through and managed to graduate from Washington State University with a B.A. in Social Sciences in May 2008. 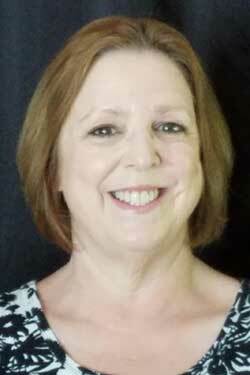 She fell into the role of onsite tutor for the Stevens County Upward Bound program in 2005, while working as a para-educator in one of the target schools. In 2008, she was promoted to the Academic Coordinator position, and became the Director in 2012. She has attended many TRIO trainings and conferences in her years with the program, including being in the 2016-17 cohort of NAEOP’s Emerging Leaders Institute. Jenna is always looking for new ways to help her students achieve postsecondary success, and she is happy to share what works with other TRIO professionals. TRIO works! My name is Saul Solis and I am a proud ETS alum and TRIO supporter. I belonged to the ETS program at Borah High School in Boise, Idaho in 2004. The guidance, support and direction that ETS gave me in my senior year in high school was the catalyst for the adventure of a lifetime. I attended Boise State University from 2005 to 2010 and became the first member in my family to graduate with a bachelor’s degree. As an undergraduate, I continued staying involved with TRIO by serving as a residential mentor for the TRIO Upward Bound summer program. I was also a student of the Student Success Program, (now Rising Scholarships Program) at Boise State. I am very fortunate to have had such great support from TRIO programs during undergraduate journey. 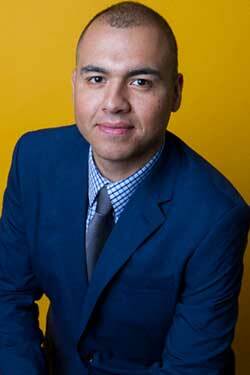 I previously served on the National Board of Directors for the Society of Hispanic Professional Engineers (SHPE) as a Regional Vice-President. In this role, I managed collegiate and professional chapter operations, programming, and budgets for chapters in seven western states. I am currently serving on the Board of Directors for the Boise State University Alumni Association. In this position I am able to help advance university initiatives and I work on various alumni relations projects. I recently finished my term on the Board of Directors for the Northwest Oracle User Group. In this role, I provided education, training, networking and technical resources to Oracle technology organizations in the Pacific Northwest. I also worked with Oracle Corporation to develop strategies that helped us address the technical and business challenges that our clients experienced. I am currently a board member of the Idaho Hispanic Youth Symposium (IHYS) organization. I have been a member of the IHYS board of directors for three years and this has been one of the most rewarding positions I have served in. During my tenure on the IHYS board, I have been Chair of the volunteering committee for the annual IHYS conference, I have been coordinator of the showcase scholarship program, and have served in the logistics committee for the annual conference. I genuinely feel that by serving as the Alumni Relations Committee Chair for NAEOP, I can be part of team that is already working towards the same goals I strive for and am passionate about. I look forward to the opportunity to bring my passion for serving youth as well as my experience serving on professional boards to the team. I am excited to be part of a team that collectively enhances the lives of students who share a similar background as mine by providing opportunities for empowerment, personal growth, and access to academia and higher education in whatever form that may look like for each individual.